It’s been a little over a year and I’m finally able to walk with a cane and my right arm is beginning to operate again. Who’d have thought it would take so long or have been so difficult. A lot has happened in the last few months though, we sold the pop up trailer, it wouldn’t be possible for me to use it, all that hitching and cranking up. We decided we would get something that required a lot less work, smaller so Lynda could drive it, a camper van seems like the ticket. Just drive it into it’s spot, hook up the power and water, put out some camp chairs and you’re in business. We are going to rent one just to test it out and see if it meets our needs. 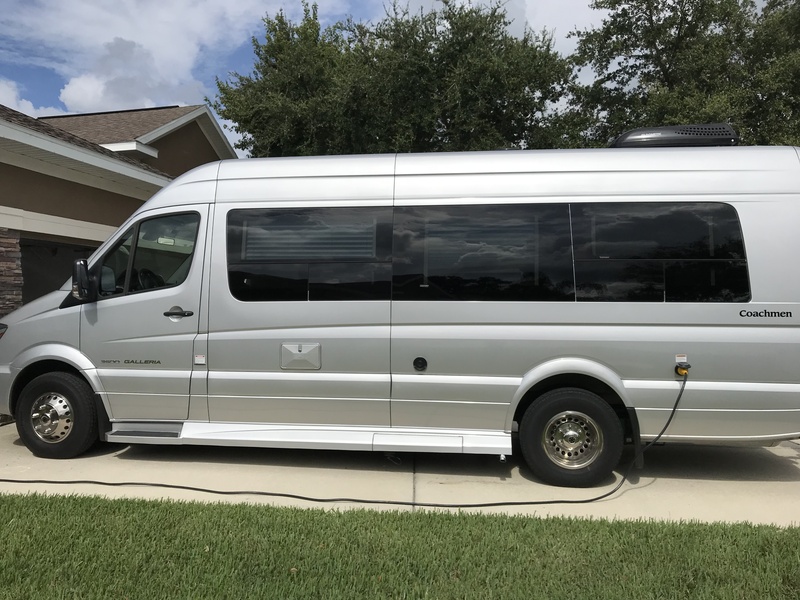 So here it is, not exactly a small van, 24 ft. long a 2018 Mercedes diesel with all the amenities, tv, microwave, AC, bathroom, kitchen, dvd, you name, it’s got it! More info coming as we try this out in August.